LifeFleet is a busy, growing company, and we’re always looking for upbeat, fun individuals who care about the patients we serve. From dispatchers to EMTs to paramedics and more, there’s a lot of ways to grow at LifeFleet. 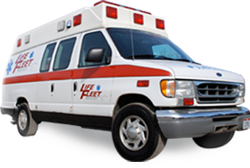 Start your career with LifeFleet using the form below. * For insurance purposes only. Have you ever been convicted of a felony, or a misdemeanor involving any violent act, use or possession of a weapon, or act of dishonesty for which the record has not been sealed or expunged, or do you have such a case pending? Have you had any accidents or tickets in the last seven years? Give three References who are not former employers. List names of employers with present or last employer listed first. Please note if we may not contact your present employer until after you are offered a position. I certify that all of the information provided in this employment application are true and complete to the best of my knowledge, and I authorize investigation of all statements contained in this application, including a criminal background and credit history check. I understand that any false or incomplete information may disqualify me from further consideration for employment and may result in my immediate discharge if discovered at a later date. I understand and acknowledge that unless otherwise defined by applicable law or written agreement with LifeFleet, any employment relationship with the LifeFleet is considered “employment at will.” This means the Employee may resign at any time and the Employer may discharge the Employee at any time, with or without cause, and with or without advance notice. I authorize the investigation of any or all statements contained in this application and also authorize any person, school, current employer, past employers, and other organizations to provide information concerning my previous employment and other relevant information that may be useful in making a hiring decision. I release such persons and organizations from any legal liability in making such statements.